The commutation relations for angular momentum in quantum mechanics are given by , , with cyclic permutations. 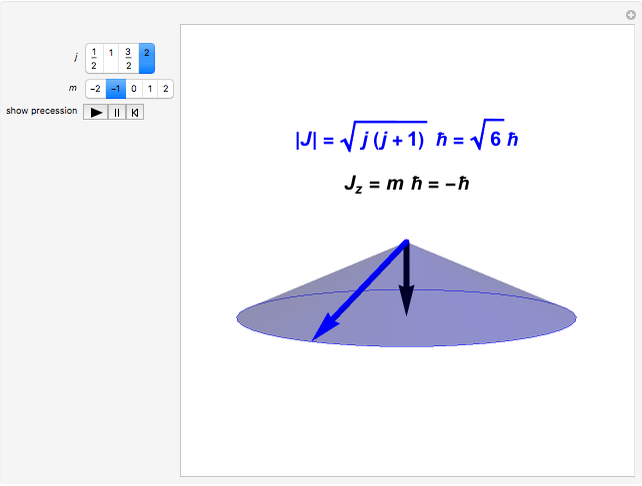 From these, the allowed values of quantized angular momentum can be derived, namely, and , with , . Customarily, the component is singled out, with the other two components retaining indefinite or fluctuating values (except when . The definite magnitude and direction of one component of angular momentum is known as "space quantization". Restriction of to integer values was exploited in Bohr's model of the hydrogen atom. 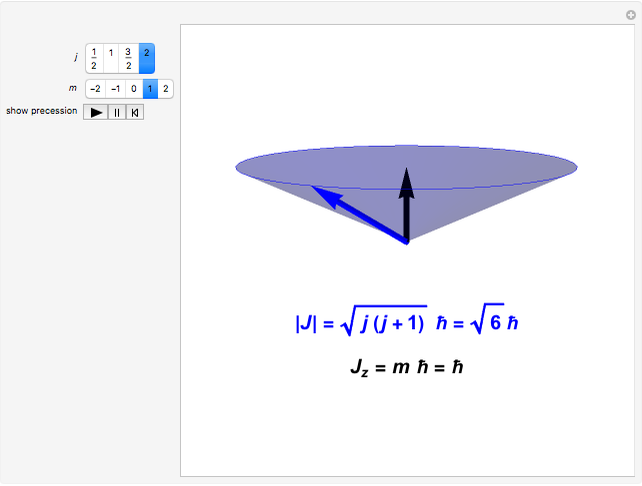 When spin is involved, and can also take half-integer values. 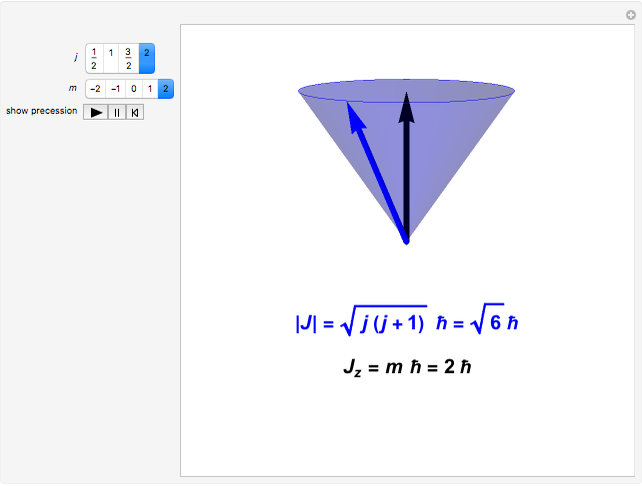 The vector model of angular momentum pictures the total angular momentum vector as precessing about its constant component. This is also consistent with the fluctuating values of and . The fact that the quantized value of equals , rather than , can be rationalized by the fact that the average value of the sum of the squares of the three components is given by . Reference: S. M. Blinder, Introduction to Quantum Mechanics, Amsterdam: Elsevier, 2004 pp. 83–85. S. M. Blinder "Space-Quantization of Angular Momentum"